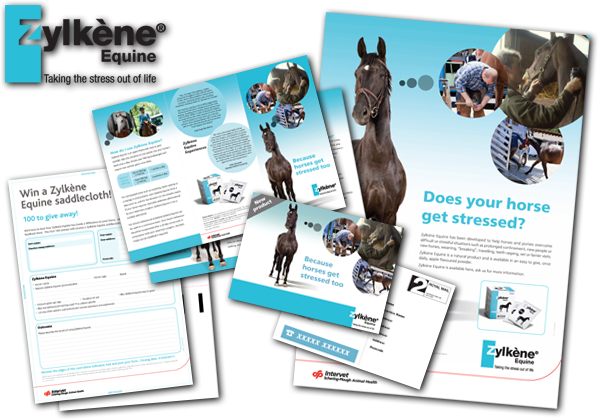 Natural stress relief product for horses. Create an ID for new product. 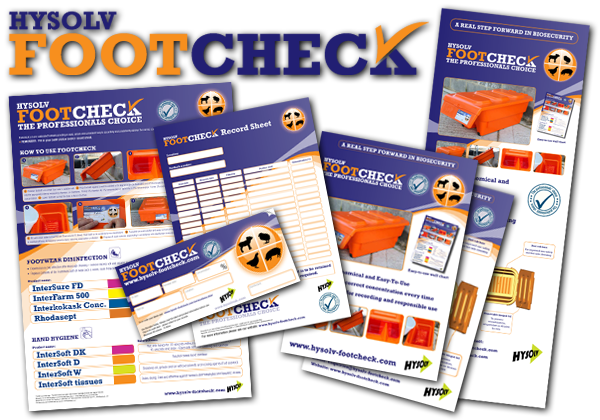 Produce leaflets, posters, pull-ups and advertisements for launch. Manage advert copy supply and the print process. Linked rebranding for sister companies. 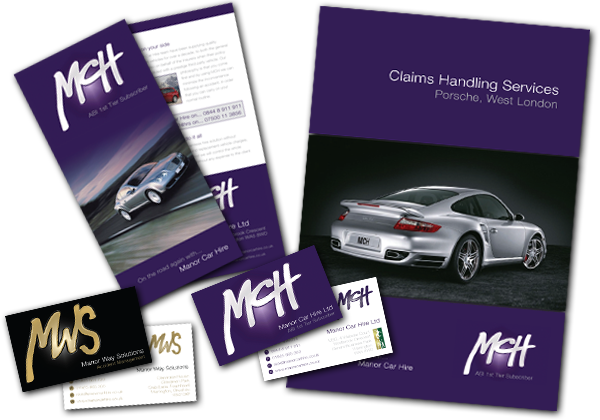 Create leaflets, business cards, letterheads that reflect both sector leading companies, manage the print process. Create a new brand Identity for product launch, produce all campaign marketing materials & manage the print process. 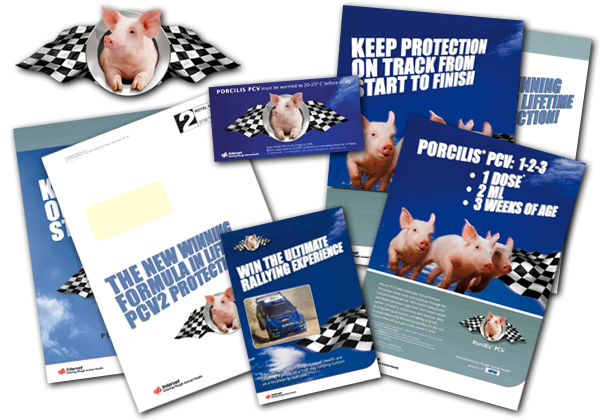 UK pig vaccine launch for MSD Animal Health. Adapt European advertisement for UK market, design technical dossier and direct mail, produce exhibition panels for launch. Manage advert copy supply and print process. Responsive, creative, cost-effective solutions are our speciality. ID, branding, direct mail, integrated campaigns, advertising, brochures, posters, panels, exhibition stands........just give us a call. F4C have the experience to create innovative, inspiring artwork. Either creating from scratch or based on an existing style to your corporate guidelines, we have total expertise in the very latest design and reprographics applications. Critical to any good business is the brand. We try and get under the skin of your company, offering you a solution that gives you a strong, professional visual identity. We can refresh your existing design, or create branding for your company that is completely new. Many of our customers have benefited from our expertise in this area. Over 20 years of trade print buying - including web, litho and digital print - means we will always advise on the best, most cost-effective solution for your business. Whether your needs are 1 or a million and 1, we can supply. We can change the way you think about design and print. Whether producing short print runs or a targeted mailing to create a friendlier more personal feel to your marketing materials, digital print offers flexibility with speedy economical results. High-end image editing services for advertising, brochures, web or powerpoint. We can rescue under/over-exposed photographs, remove imperfections or even remove specified items from an image. We can source creative photography and are able to build upon this where necessary to create the perfect image for your campaign. Whether it's a national ad campaign or a one-off project, we offer great design, a slick service and open communication between ourselves, you the client and of course your chosen media. From a small, personalised, targeted mailing to a large national magazine-drop, we can manage the whole process and advice on the most economic way to achieve your objectives. A key part of any major branding project is the provision of a new website. Working with our web-partner, we build accessible, engaging websites that work for you and work for your business. Fish4Creative Ltd is a small design agency, based in the North West of England. From day to day, we are a small team that has a network of experts we bring in if a project requires some specialist input or extra manpower. This approach makes us extremely flexible and keeps our overheads to an absolute minimum without compromising on quality. Our small size has some big advantages for you. You won’t pay for a team of account handlers, account executives or accountants. In fact you won’t pay for anyone with account in their job title. What you will get is great design, a 24/7 service and a friendly, personal relationship with the people working for you. We offer bespoke design & print services - helping your business find a solution that is both value for money and fit for purpose. It all started with design & illustration at college, paper and pencils, perspective, paints, airbrushing and a love for creating something technically accurate. From there it was a natural progression to Photoshop, Quark, Illustrator and most recently InDesign. The early part of my carreer was spent working for many blue chip clients including the BAe, BNFL & VSEL. In 1995, I joined a pharmaceutical company as a Graphic Designer and soon progressed to managing their in-house design facility, soon finding that my love for problem solving and visual skills had found a happy new home. For almost 14 years I gained invaluable experience working through not one, not two, but three separate company mergers, managing the design requirements for a marketing team of over thirty staff. I know how to manage time critical workloads and how to communicate clearly as part of a project team. Quality design requires many different skills but I believe clear communication is the fundamental key to success. I love that the playing field is constantly changing. There is no time to stand still and every day I learn something new. I am passionate about my work and look forward to the challenges of each new project. In 2008, I decided it was time to branch out for myself and Fish4Creative Ltd was born. "I have worked with Fish4Creative for many years and have always been confident they can deliver on time an excellent quality service. This is due to the understanding they have of the industry and their focus on ensuring they know exactly what the client wants." "Hysolv UK have worked solely with Fish4Creative to develop our NEW brand image for our launch in a limited timeframe; product logos and numerous creative projects. While this is a relatively new arrangement, I have been greatly impressed by the efficiency and 'can do' attitude which is consistent. Added to this F4C provide great value for money and extended access to resources which assisted us to keep within budget. " "Fish4Creative know and understand our business. This knowledge, combined with the personal touch and fast turnaround times, make them a valued supplier of creative work." "We approached Fish4Creative with the brief to create a brand that reflected our approach to business. We had tight deadlines and a tight budget. Thanks to F4C - objective achieved. " "We have been using Fish4Creative for a number of years for the two or three companies we are involved with. This has been for our logo design, leaflets, newsletters, press ads and promotional ideas/items. Most design things are possible and the personal service and attention to detail first rate. We will continue to use them as long as we are in business. "